“There is right now a full scale manhunt going on in California for an illegal immigrant accused of shooting and killing a police officer during a traffic stop. Time to get tough on border security. Build the wall!” President Donald Trump tweeted on Thursday. Shortly before 1 a.m. Wednesday, Newman Police Officer Ronil Singh, 33, was conducting a traffic stop reportedly as part of a DUI investigation. Moments later, Singh called out shots fired over the radio. A gun battle ensued, during which Singh was wounded. Emergency responders transported Singh to the hospital, where he was pronounced dead. 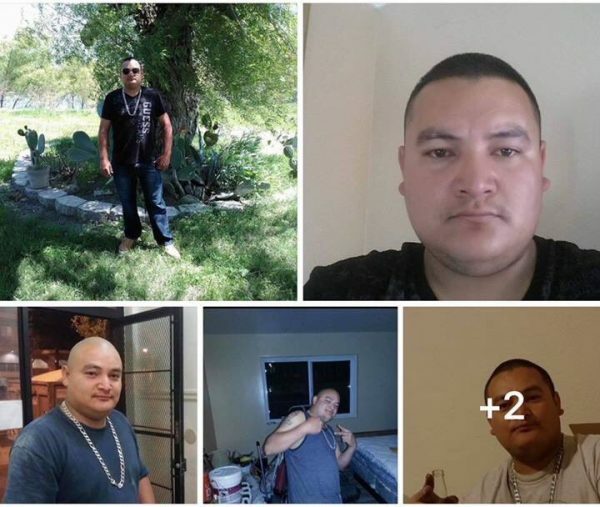 The suspect, who fled the area in a Dodge Ram pickup, was in the United States illegally, according to the Stanislaus County Sheriff’s Department. Sheriff’s officials, however, say they cannot confirm the suspect’s name and date of birth. Authorities are circulating several photos of the alleged gunman. Sheriff’s officials say they can confirm the photos being circulated are of the suspect. Detectives searched a property in Merced County, though failed to locate the suspect. Investigators have recovered the truck in which the suspect allegedly fled. Singh was a native of Fiji who had worked for the Newman Police Department since July 2011. Singh leaves behind a wife and a five-month-old son. And now we have soon-to-be Governor Venezuela Gavin Newsom who has the same beliefs as Governor Jerry Brown. Both believe in the Sanctuary State and an Open Border. Public safety be damned! Both believe in rights for criminal illegals instead protecting law abiding citizens. Gotta have worldwide open borders for the coming socialistic New World Order! Disgusting Ca. politicians protect these people. He should of been sent back after his first arrest along with the other family illegals. Ca does more for illegals than their own citizens. Ca should pay the officers salary to his family for the rest of their lives. I can’t believe the voters keep voting idiot politicians in that don’t give a D!!! about it’s citizens. Get rid of them!!!! He’s just a poor refugee looking for a better place for himself and his family! How many more good innocent people have to lose their lives before we decide that our citizens have value? Breaking News! They caught the SOB – now we will see just what the very liberal state of CA will do with him. Another present brought to you by Governor Brown and Sacramento. They got him and his 2 POS brothers that tried to throw law enforcement off his track. It’s high time we take back the state and country from the rogue and tyrannical politics such as what we’re living in California. Politicians that are so blatant in their disregard for the safety of our citizenry by their protections of and coddling the support of illegal aliens and other criminals. It’s time our law enforcement agencies show some balls and start with walk outs and shut downs instead of blindly following these ridiculous sanctuary city policies that are being forced down their throats by the likes of our out-of-control legislators and current governor, only to be worsened by the newly elected dirtbag Gavin Newsome. This state is completely out of control and we will only see much more of this happening to our law enforcement and citizens. Do you think this might present a problem? How many people are going to be stopped that look similar to him? What a cluster****!